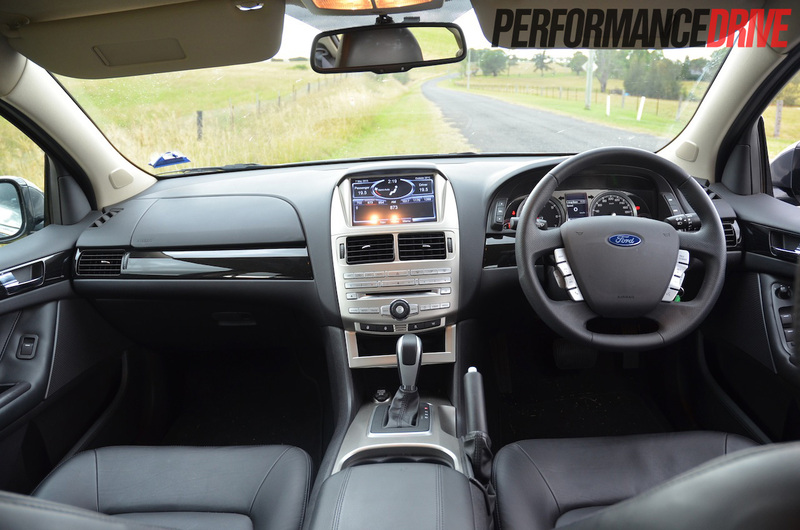 The 2013 Ford Falcon G6E EcoBoost is just one of three Falcon models to be fitted with a turbocharged four-cylinder motor – a first ever for a large Australian-made sedan. The EcoBoost’s objective is it to take the pressure off the wallet, while allowing drivers to enjoy the practicality of a large sedan. And in the G6E’s case, it’s to do so in a manner that’s very suave. Launched in 2012, the EcoBoost was one of the most highly anticipated new offerings from the local Ford stable. 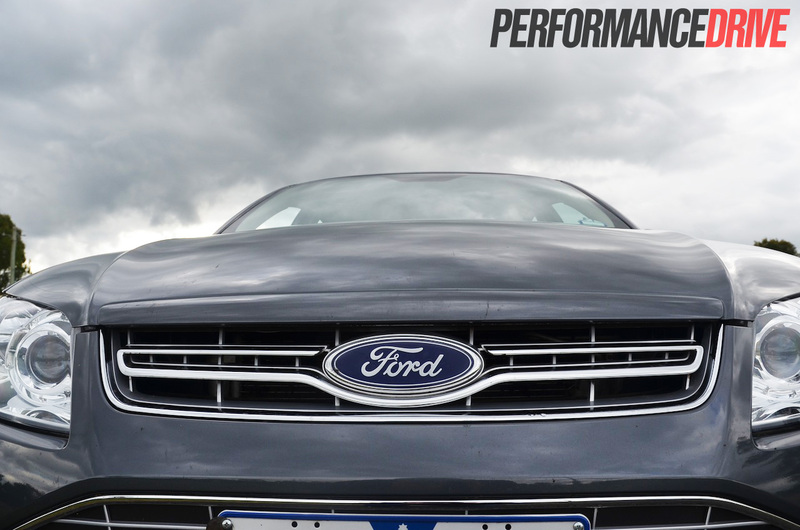 With manufacturers constantly under pressure to improve efficiency, the idea of putting Ford’s global 2.0-litre turbocharged four-cylinder came to light. 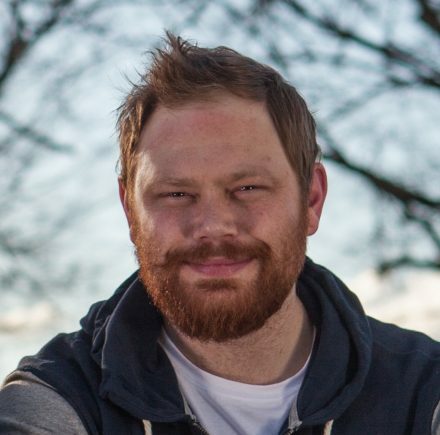 It wasn’t as simple as ordering the new engines and hoping for the best, Ford Australia invested hundreds of millions of dollars. Ever since the Falcon’s inception, Ford has only ever used six- and eight-cylinder engines. The EcoBoost found in the Ford Falcon produces 179kW and 353Nm; certainly not bad figures for a 2.0-litre that’s aimed at saving fuel. And it does. We recorded an average consumption of just 9.6L/100km. Its official rating is 8.5L/100km. Pricing for the EcoBoost starts at $37,235 for the XT version, $40,835 for the G6, and $46,735 for G6E (as tested). 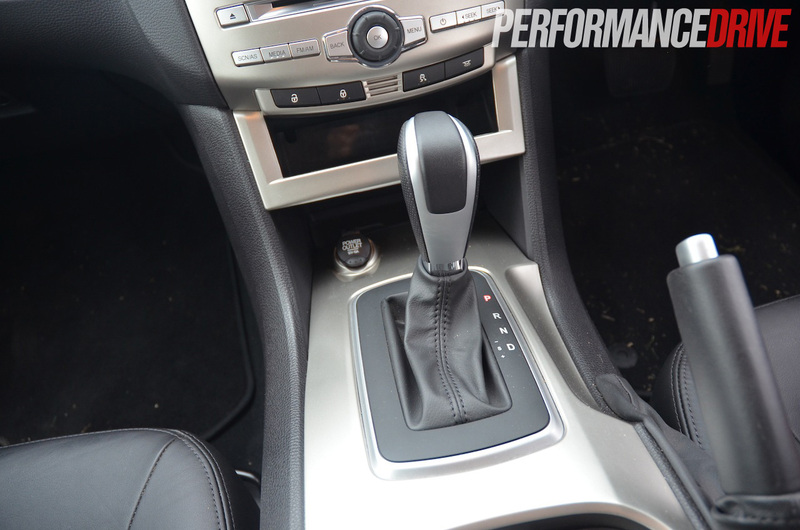 There’s no manual option, using only a ZF six-speed automatic across all EcoBoost models. The G6E sits at the top of the Falcon range. 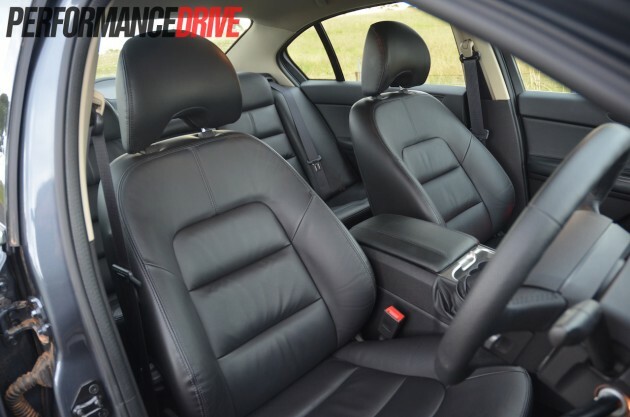 Standard equipment includes leathers seats, climate control, satellite navigation, and 18-inch alloy wheels. 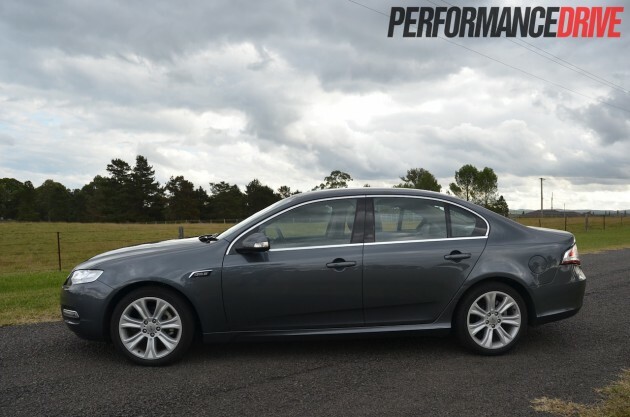 Exterior-wise, the G6E receives an Aston Martin-esque front grille, side skirts, a sporty rear bumper, a chrome rear number plate surround, front LED lights, and projector headlights. The EcoBoost G6E, however, misses out on the neat-looking boot lip spoiler and 19-inch wheels found on the 270kW G6E Turbo. 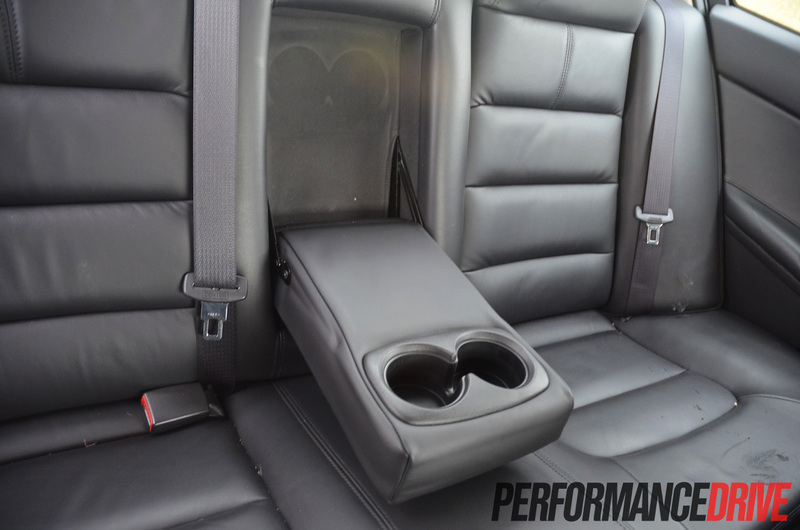 Other neat additions to the G6E include an electric driver’s seat, leather steering wheel, and a premium speaker and audio system that features a rear-mounted subwoofer for extra kick. Sitting in the centre of the dash, and new to the FG MKII range, is a touchscreen eight-inch ICC (Interior Command Centre). 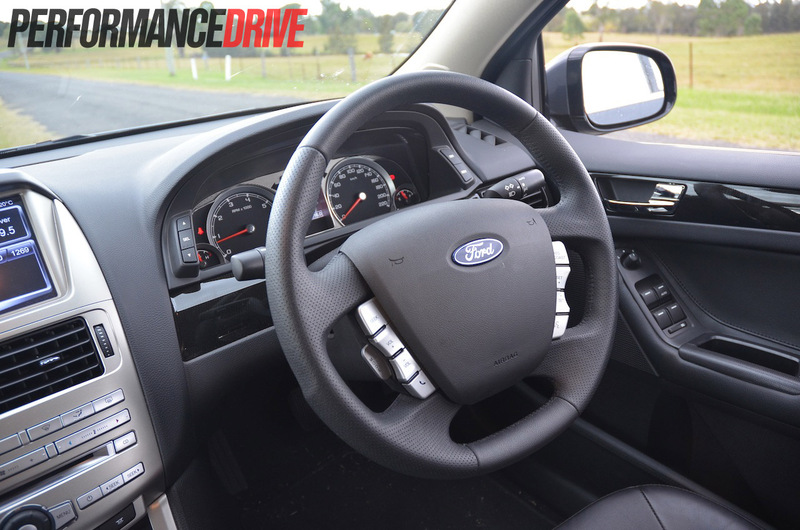 It’s overall functionality eclipses anything Ford has previously offered for Falcon, and can be used to select audio changes, as well as access the satellite navigation system. It’s a Falcon, so it’s definitely spacious. 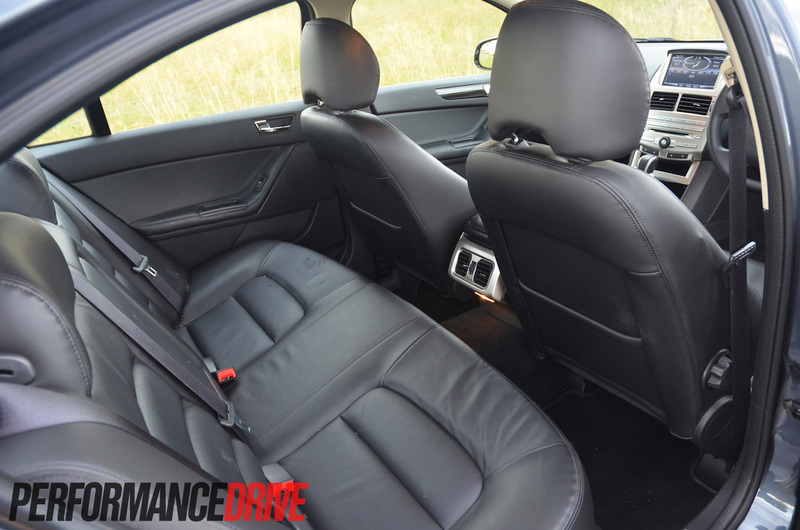 The front seats are bolstered and ready to support you should you tackle a few bends. They’re also a dream on long trips. 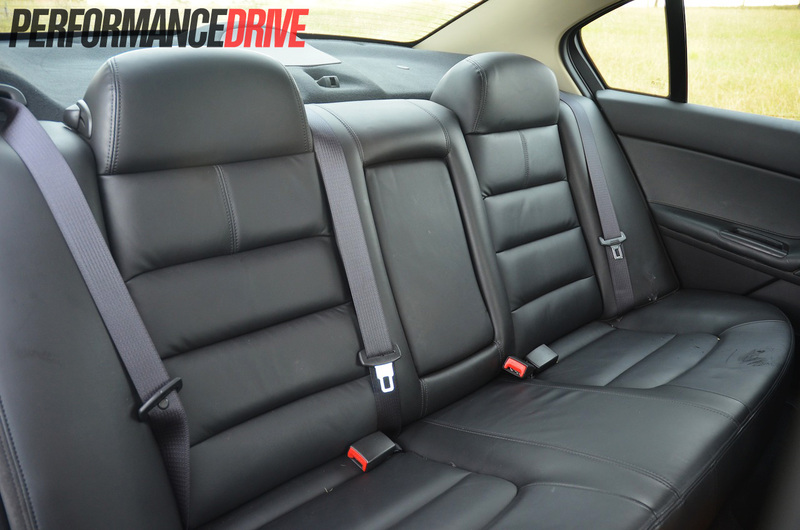 The back seat is also a nice place to be, with ample leg room, and a gentle sloping rake to the backrest so you can settle right in. 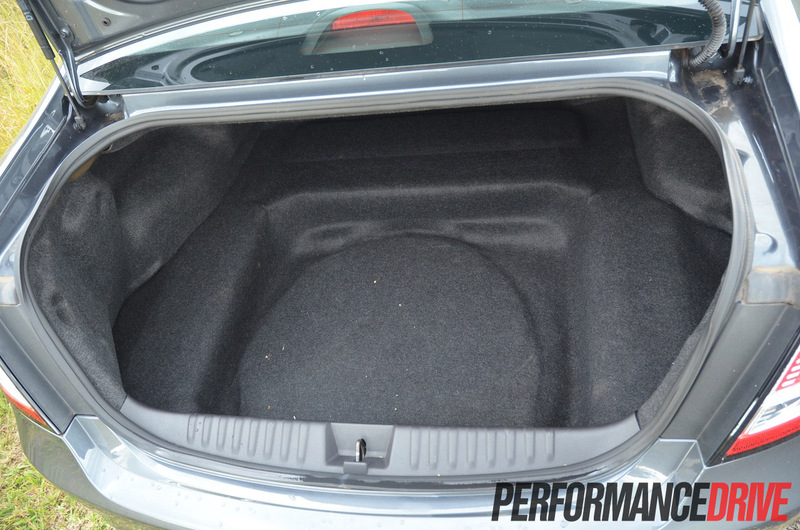 The G6E features 535 litres of boot space, and a handy 60/40 split rear seat for even more room. The G6E has received a full five star ANCAP safety rating, scoring 34.61 out of 37 in the most recent tests. 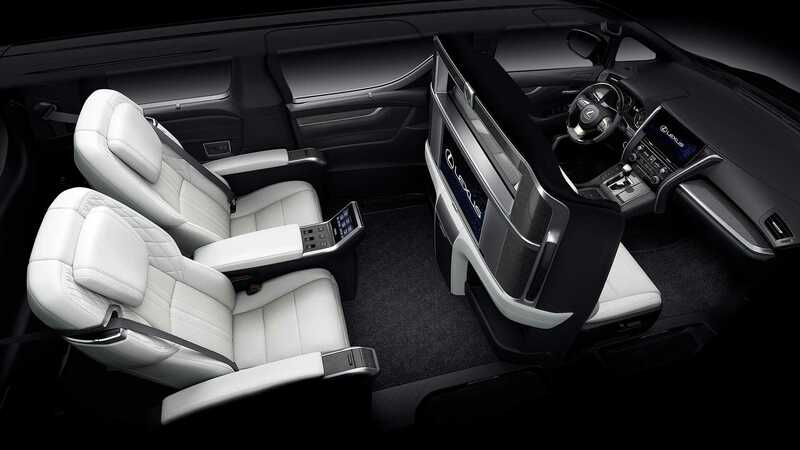 No less than six airbags are fitted inside the cabin. 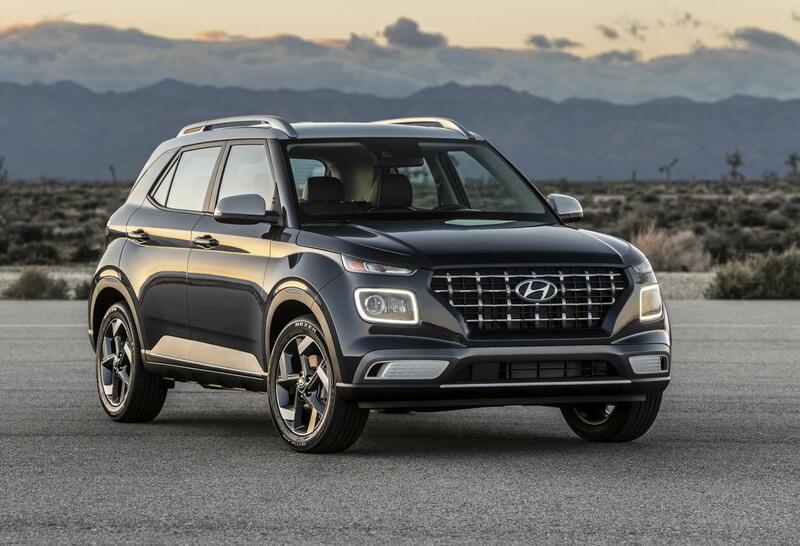 Features such as traction control, stability control and emergency brake assist are fitted as standard. 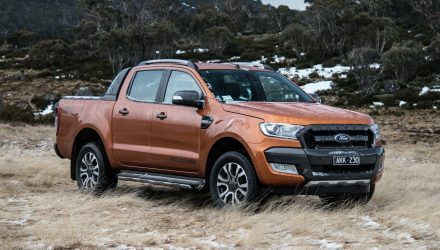 The EcoBoost model features the same 1600kg towing capacity as the rest of the six-cylinder Falcon range (tow pack is a $500 option). 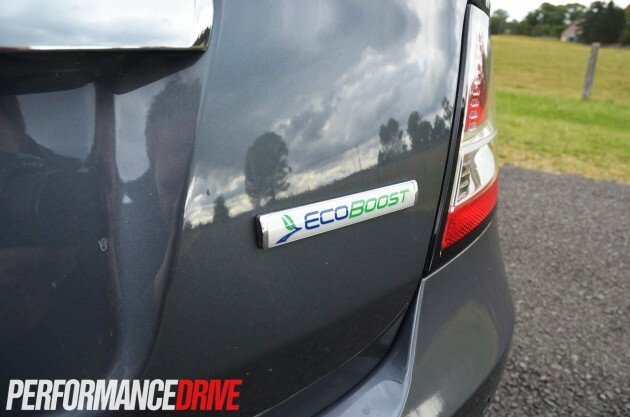 Possibly more impressive than the efficiency and power is the way the EcoBoost drives. 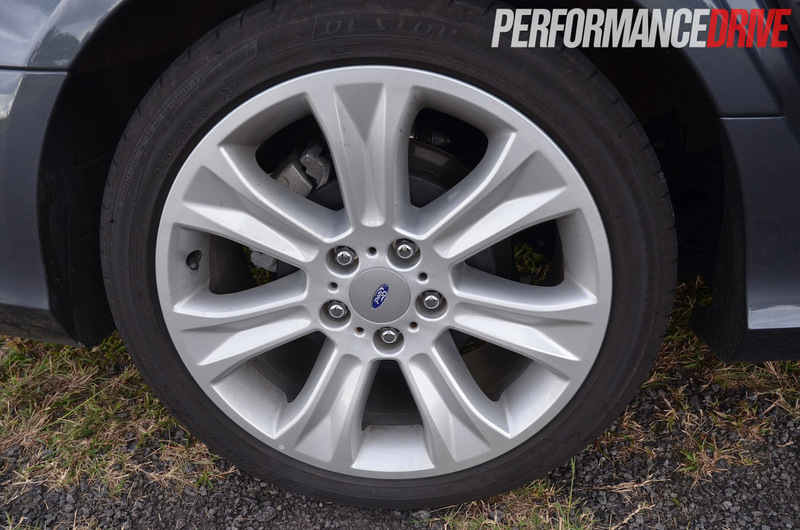 The G6E EcoBoost comes with a bespoke suspension tune that features rates that have been tuned to suit the different weight of the four-cylinder motor up front. 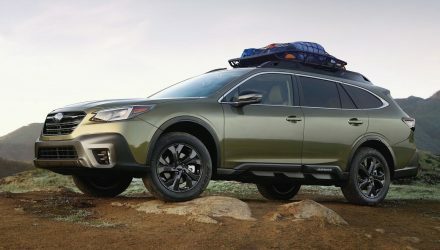 The front end features a revised Virtual Pivot Control link setup, while the rear gets Luxury Sport Blade independent suspension. 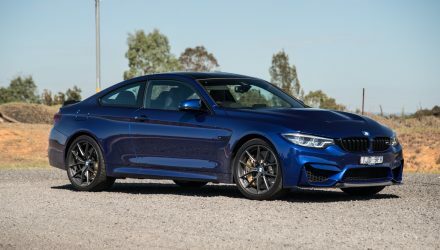 Weight over the front axle is significantly decreased to the tune of 50kg (the 4.0-litre six engine weighs 220kg, while the EcoBoost engine is just 170kg – a 50kg saving over the front axle of any road car is a huge improvement in helping the large sedan to feel more agile). 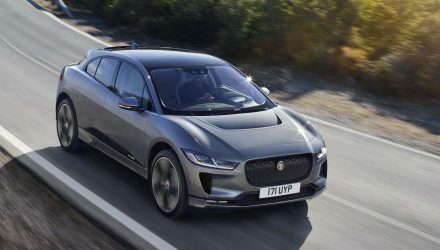 Weight distribution also differs between the four- and six-cylinder engines; 56:44 front to rear for the 4.0-litre engine, and 54:46 for the 2.0-litre EcoBoost. The improved balance also provides more confidence and composure under heavy breaking situations. The improved balance is noticeable the very second you tip into a corner. 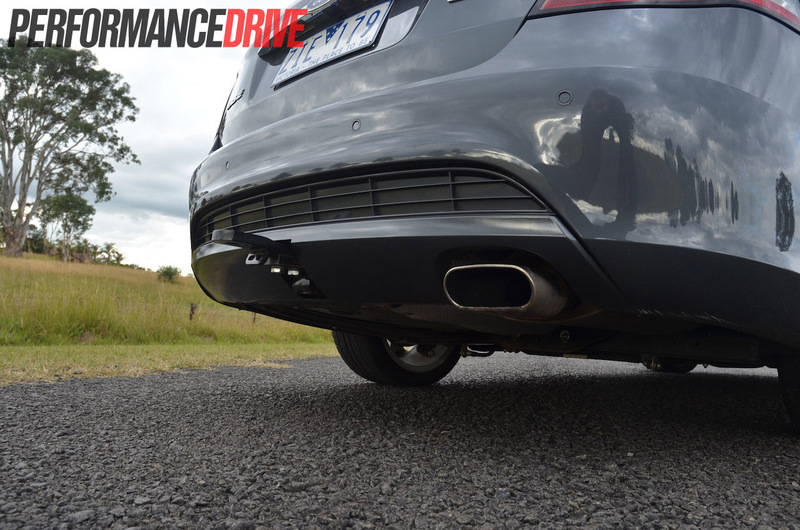 Turn-in feels almost sporty-hatch sharp, and push understeer is almost non-existent when you up the ante. 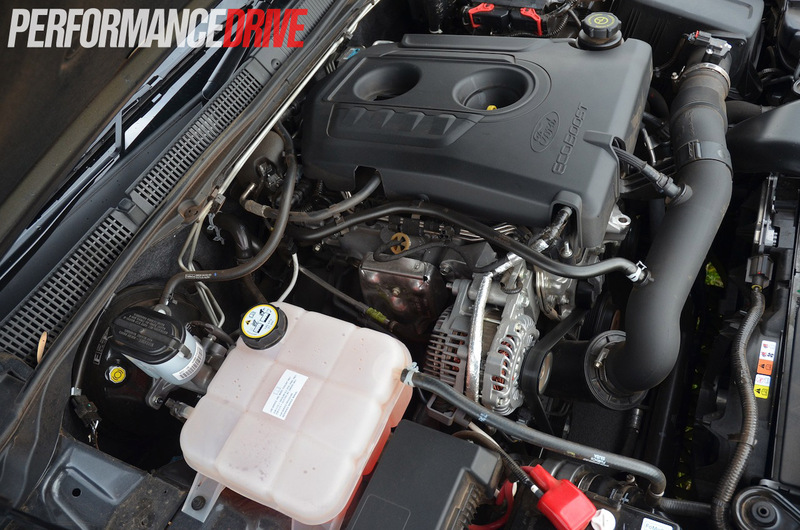 With the (quite large in today’s standards) 4.0-litre straight six up front, the Falcon can feel a little cumbersome, however, this isn’t the case with much smaller, but certainly not any less potent, 2.0-litre turbo EcoBoost motor. 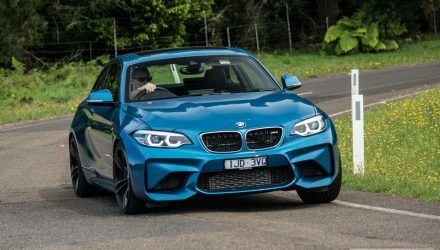 Power delivery off the mark sees the turbo fire boost into the engine from very low in the rev range, giving the car very linear acceleration punch. 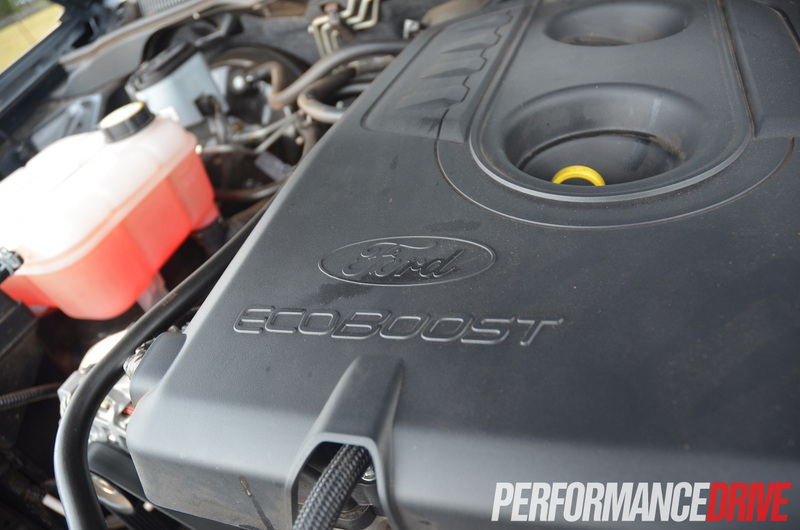 We clocked the EcoBoost from 0-100km/h in just 6.7 seconds. 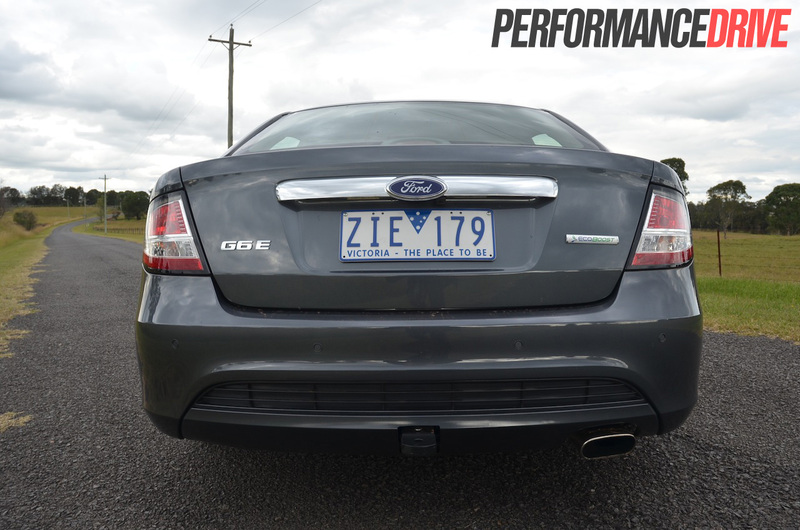 Just last year we tested a 195kW 4.0-litre FG Falcon XR6 MKII and only managed to secure a 6.8 0-100km/h time – the lines between efficiency and power are certainly being blurred over at blue oval HQ. Its overtaking abilities are also impressive, leaving you on the other side of the road for only a very short period. The gearbox is the same ZF unit you find in all other six-cylinder Falcon models. 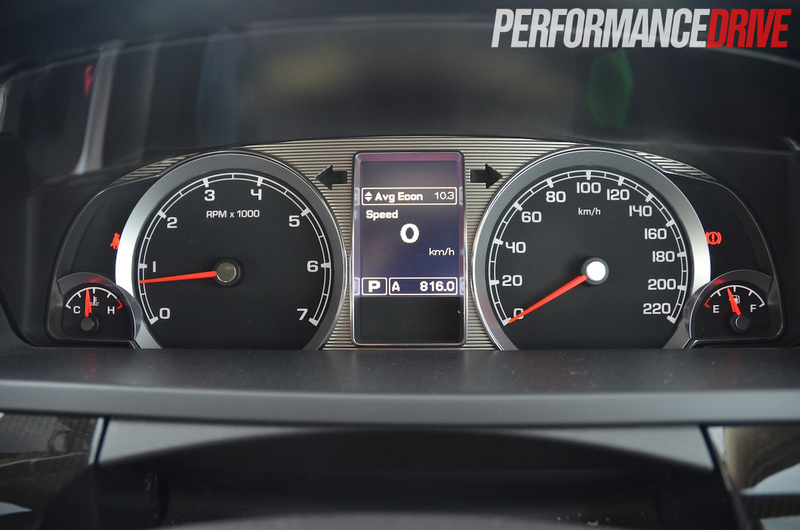 Driving in a sensible way sees the gearbox use the EcoBoost’s gutsy toque curve (the EcoBoost finds peak torque at 2000rpm, whereas 4.0-litre models find it at 3250rpm) to hunt up gears quickly in the name of efficiency. We saw figures in the mid to high nines around town. 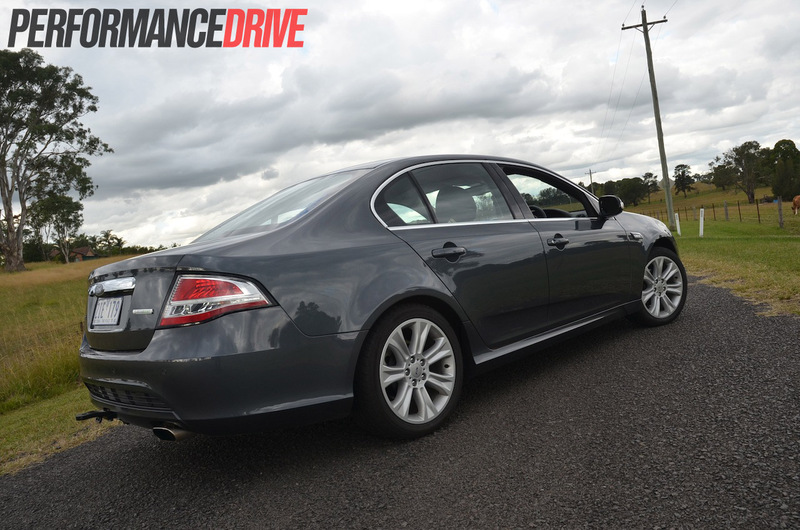 Certainly not bad for a large petrol-powered sedan with this much poke on offer. 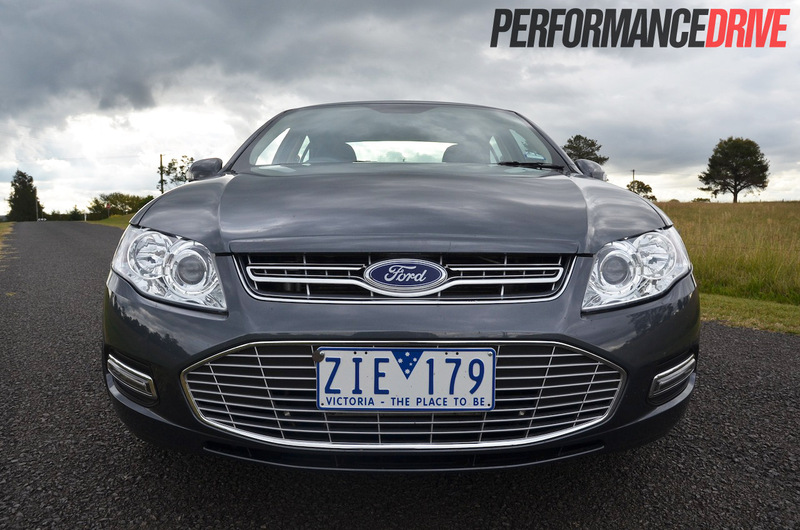 Leave the city for some open road active driving and the EcoBoost’s better-balanced chassis and constantly keen nature of the EcoBoost engine make it a joy to eat up hundreds of kilometres. The suspension tune in the G6E is a decent compromise in sportiness and overall comfort. 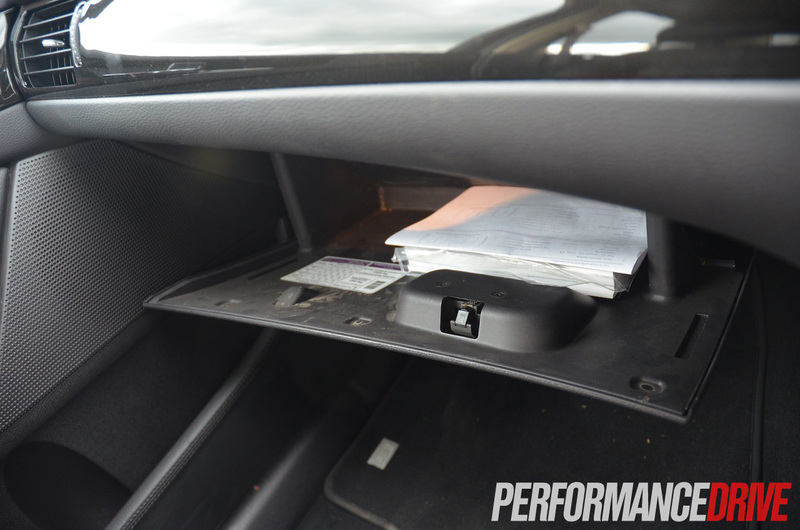 Pot holes send a nasty thud through the cabin, but don’t necessarily chew at your spine. 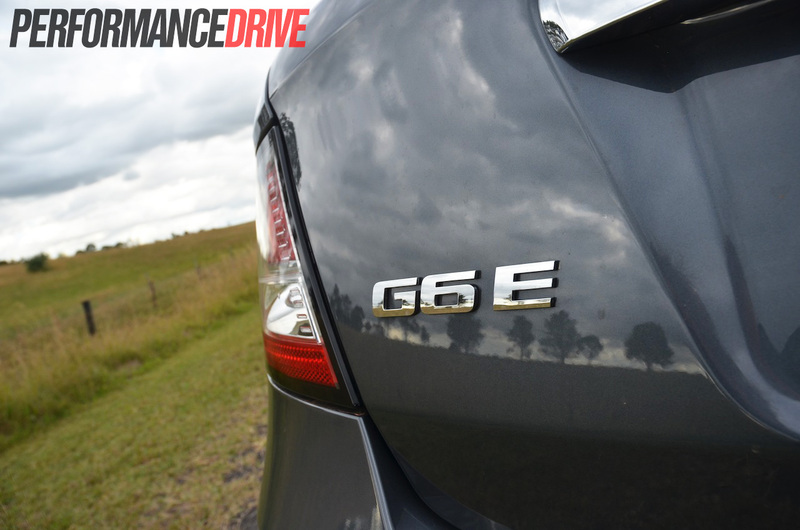 The G6E EcoBoost leaves little to not like. 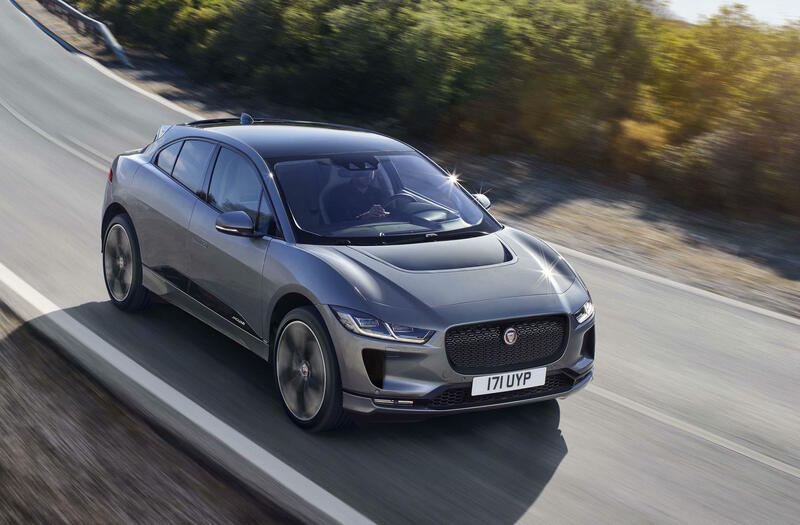 Its lack of a mammoth 4.0-litre six-cylinder up front allows it to feel a little more alive in the bends. It also feels quite punchy for such a small motor in a large car. 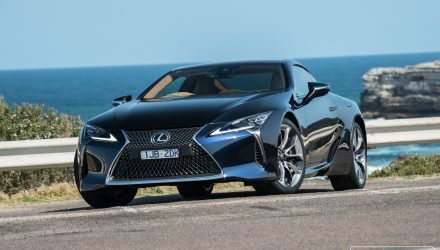 Okay, so it doesn’t sound as sweet on the ear as the straight-six when you give it a good lashing, but it doesn’t wipe out the fuel gauge, either. 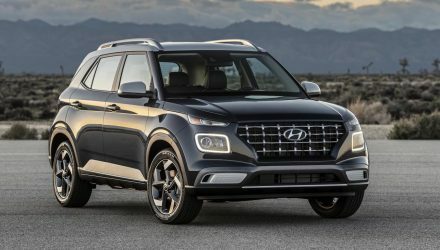 You could consider the EcoBoost a compromise; the compromise of having the luxuries of a large sedan, with the fuel consumption of a small hatchback. But it’s everything but a compromise to drive. To ‘compromise’ can mean to settle for less, and that’s not the case here. In fact, given the chassis is better balanced, it’s actually more fun to drive. And take our word for it, it never feels ‘weak’, or ‘underpowered’. 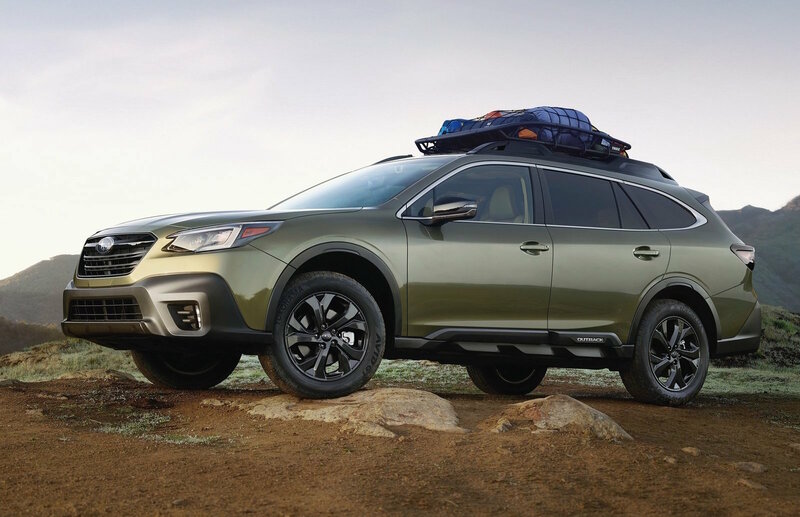 It’s a winner in our books. 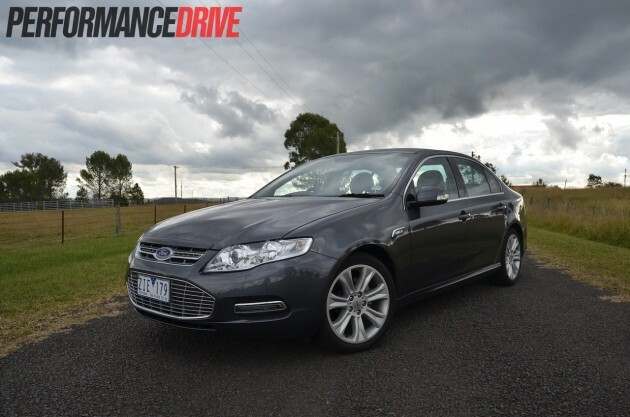 The EcoBoost was launched with a huge expectation that it could secure (extend) large sedan manufacturing in Australia, but given the recent news, it seems it would have taken more than just shedding a few litres-per-100km to save the Falcon. Never mind, it’s not 2016 yet, and the Falcon is still very relevant. 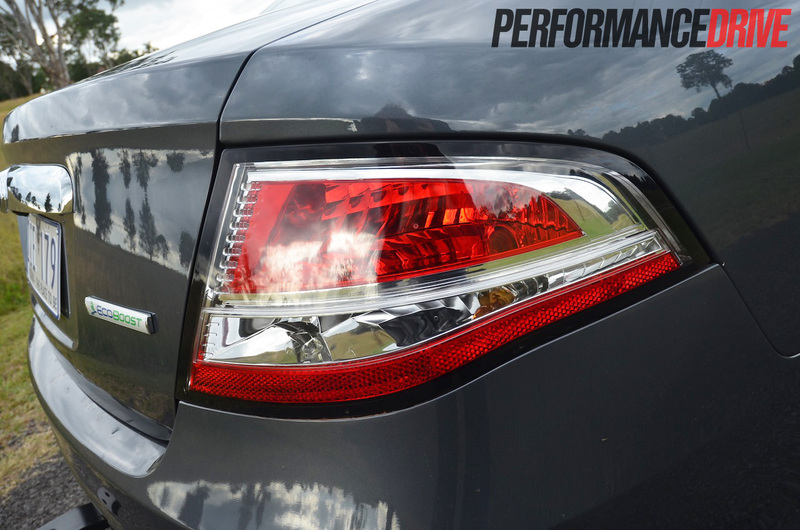 A Falcon that goes like stink, consumes fuel like a small car, and in the case of the G6E, looks as suave as a Falcon ever has; now there’s a car for the masses. 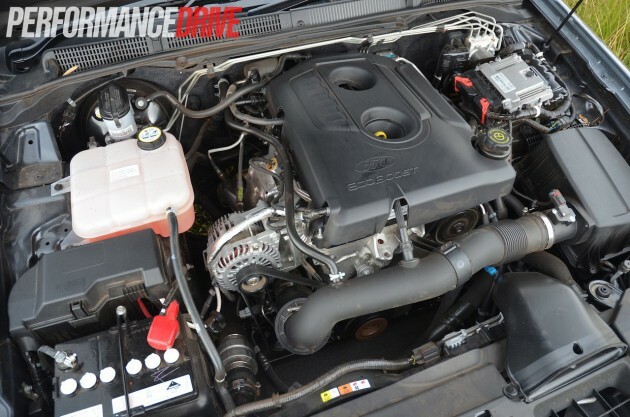 – Lots of aftermarket potential to be unlocked from the EcoBoost?